Topline Car Removal is a cash for cars company in Perth. We are known throughout Perth as offering the best car removal services. This isn’t only because we pay the best cash on unwanted car removals, (UP TO $9999 CASH), but because we make selling your car to us fast and convenient. We don’t require our customers to go through a lot of red tape. We simply offer a free car removal and a cash offer they accept or reject. If they accept, everything is provided, including all the paperwork that makes the transaction legal. We will require the vehicle owners Photo ID and proof of ownership of the vehicle. With that, we’ll put up to $9999 cash in their hand on their unwanted car removal. We accept and buy all makes and models of vehicles of any age and condition. Just give us a call, and we’ll give you a cash offer. We are a fully licensed auto buyer, seller and car wrecker who is in the position to pay you the most cash on your free unwanted car removal that cash for cars company can offer. Up to $9999 instant cash. We accept and buy all makes and models of vehicles, foreign or domestic, running or not. Whatever condition of a vehicle you’d like to get rid of, just give Topline Car Removal a call, and we’ll offer you a free removal that pays up to $9999 instant cash. When your vehicle is going to be wrecked, you need a car removal company that has a top of the line wrecking yard. The reason is simple. 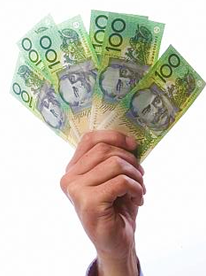 You need to ensure that you receive top cash on your removal. Our car wreckers are outstanding, performing only green car disposals. This means they recycle all the parts of the vehicle as well as its metal. Unlike other car removal companies that only make use of high demand parts, we make use of all the parts and component of a vehicle by recycling each for a new use. We then form the metal into new steel. Our eco-friendly car recycling allows us to accept any vehicle of any make and model and any condition. Just contact us today and have the peace of mind that your vehicle disposal won’t be damaging Mother Earth. At Topline Car Removal, we offer the most cash a Car Removal company in Perth can offer. We pay instant cash of up to $9999. When you want to get rid of your unwanted vehicle of any condition, we are the car removal company to call. Our car removals are always free and extend to any make, model, age and condition of vehicle. For a cash offer on your car, truck, 4×4, SUV, van, commercial vehicle, motorcycle, etc. give us a call at the number below. You will get a fair offer on your vehicle, and likely the best!